← Eppstein Wine Diary: Day 9 – READ THIS BOOK! Bianca Bosker’s CORK DORK is the Best and Most Innovative Wine Book of the 21st Century! My big story about the wines of Virginia on the East Seaboard of the USA was just published on JamesSuckling.com and ought to cause a stir for a variety of reasons. It is not only the first in-depth report on the wine industry of the state where Thomas Jefferson famously failed to found a wine industry (this process actually began with the arrival of the first colonists from Britain in 1607) by a non-American journalist I’m aware of, it also the first to place the Trump estate winery – the biggest in Virginia – within a wide-ranging state-wide context. Yes, that’s the winery owned by the family of President Donald Trump, and unlike many of his pronouncements my Virginia story is composed of fully-formed statements that are free of alternative facts. My training as a wine journalist, part of which was under James Suckling when he worked for Wine Spectator magazine, taught me that facts are facts, and quotes are quotes. The policy of JamesSuckling.com is that wine ratings should never be influenced by politics and there was therefore no discussion that the Trump wines would be included in my report and they would be treated exactly the same as all the other couple of hundred wines I encountered during a week of blind tastings and visits to leading producers. 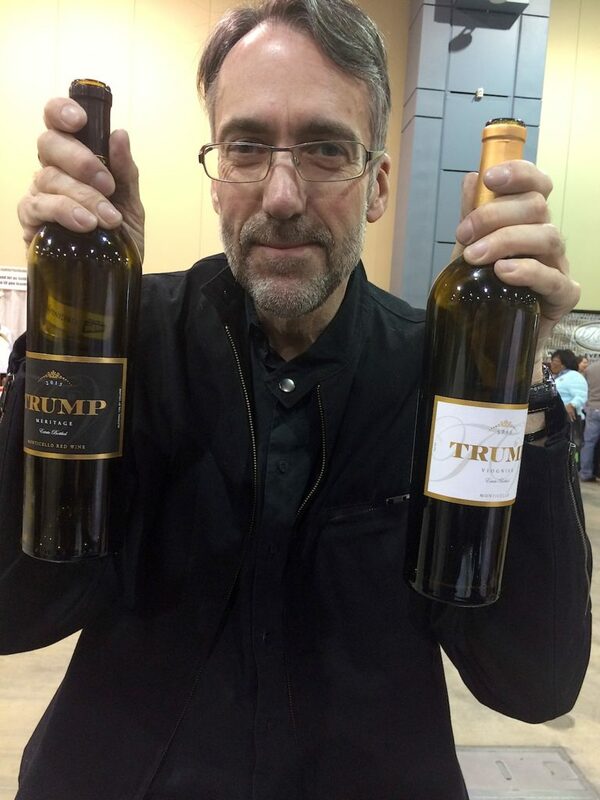 I was very pleased that although there wasn’t time to visit Trump winery I got the chance to taste Trump wines on four different occasions and I also got to talk at some length with the winemaker, Jonathan Wheeler. He’s very serious about what he’s doing at Trump winery and from this encounter I’m convinced that he has the talent and experience necessary for his considerable winemaking responsibilities. During that discussion he told me that sales at Trump winery are rocking (the same is true of many of the other leading wineries in Virginia), not least, “because of all the publicity.” That was certainly interesting to learn, particularly in view of the controversy about whether the businesses owned by the Trump family are benefiting from the fact that he’s the President of the USA, but in no way influenced but in no way did it influence how I rated and described the Trump wines. Of course, you are all now wondering whether the Trump wines are amongst the highest-scoring in my report, or if they bombed out. I’m sure that how many of you feel about the results of our tastings will be colored by your opinion of the 45th President of the United States of America, and that’s your privilege. Although I cannot reveal all the results of my week discovering the exciting new developments in the Virginia wine industry, I can tell you that several Trump wines rated 90+, but one was far below that level. Will Trump’s critics fry me for praising the former, and will his followers demonize me for criticizing the latter? And how will the Trump family themselves react to the report? We will see. Meanwhile, I strongly recommend you to read the report and consider that a couple of Virginia wines rated 95+. Those are scores that JamesSuckling.com is very cautious about giving and this therefore represents a milestone for the state’s wine industry. 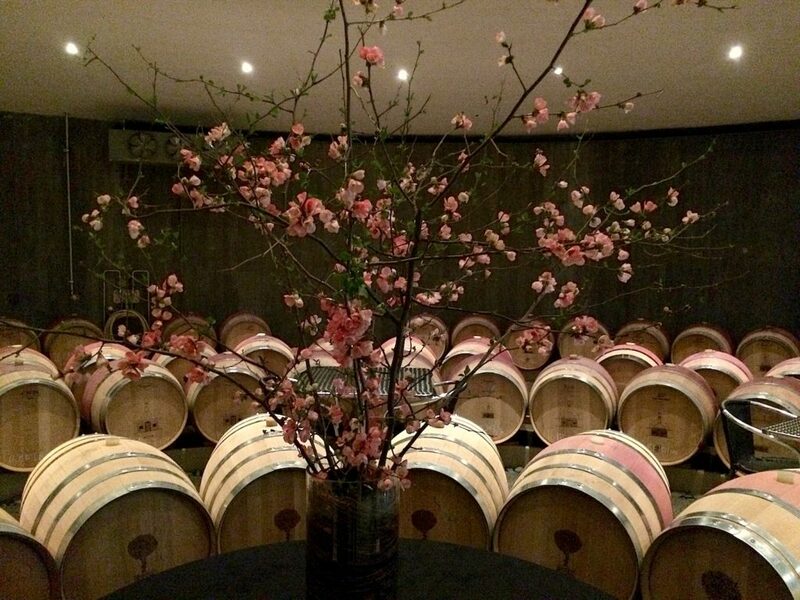 There is now not only much beauty in the landscapes of Virginia, but also in its wines (the photo above is of the barrel room at Boxwood in Middleburg, one of the new red wine stars.) Thomas Jefferson has finally been proven right!